While looking for monuments to people with Indian connections in the Dean Cemetery recently, I was intrigued to see the letters ‘FLS’ emerging from the fringes of an ugly golden cypress that had grown across, and almost entirely obscured, a grave. It turned out to be appended to the name Thomas Anderson (1832-1870), well known to me as an expert on the family Acanthaceae. He had trained as a doctor at RBGE and was Superintendent of the Calcutta Botanic Garden from 1861 to 1869 when he had to retire through ill health. He died in Edinburgh a year later, aged only 38. While in India Anderson also played a role in the introduction of quinine and the setting up of the Darjeeling plantations. As my main work at the moment is writing a biography of the Indian forester Hugh Cleghorn, I was surprised to find that Anderson’s wife was called Elizabeth Cleghorn; but this turned out to be purely coincidental, and they were not related. 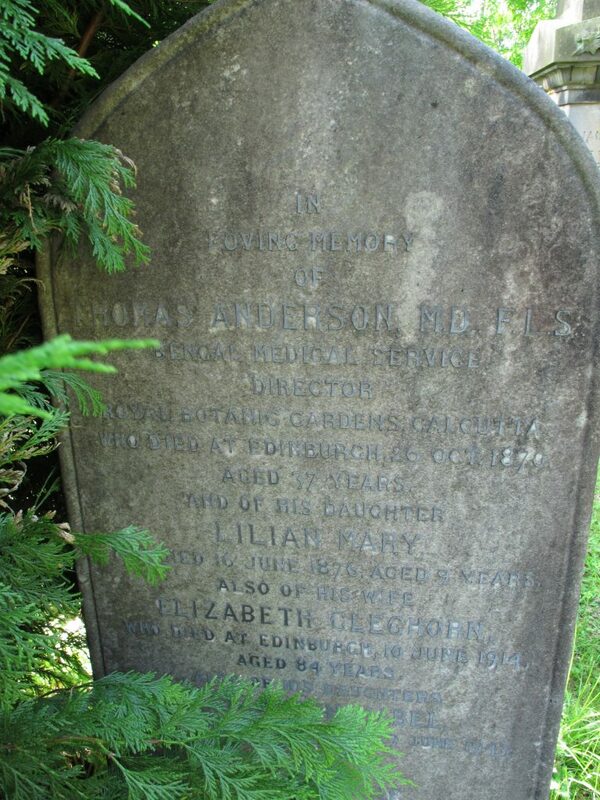 Anderson’s daughters are also commemorated on the stone, and it was from them that the RBGE purchased No 20 Inverleith Row in the 1940s. A recent visitor to RBGE was Dr B. Venugopal, Director of the India Museum in Calcutta. He was interested in one of his predecessors, the zoologist Dr John Anderson (1833-1900), who was Superintendent of the Museum from 1865 to 1886. Clearly a family of high achievers, with two brothers simultaneously directing two of India’s leading, Calcutta-based, national institutions – its botanic garden and its museum. 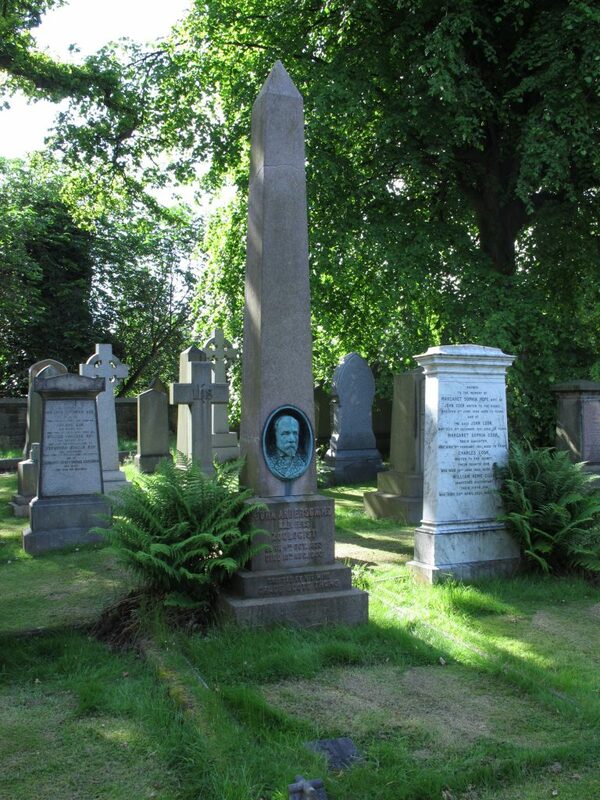 John Anderson also turns out to be buried close to his brother in the Dean Cemetery – a much grander monument complete with bronze portrait. 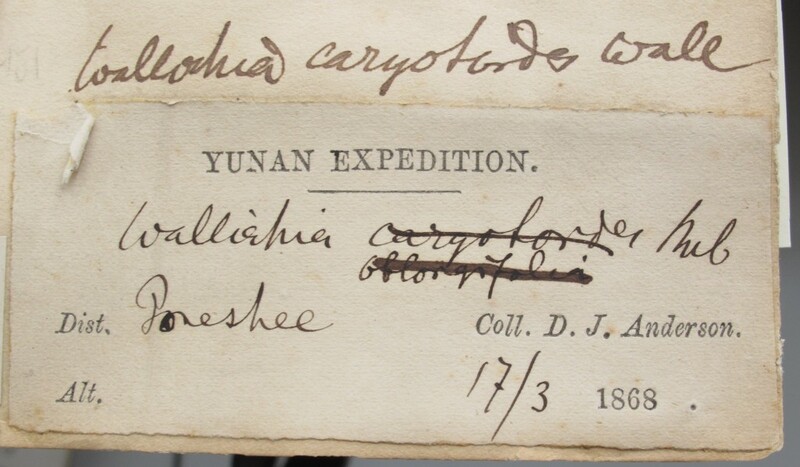 But digging around in the RBGE herbarium has shown that John Anderson is also responsible for our earliest collections from Yunnan. In 1868 he went on an expedition led by Colonel Sladen, which travelled through Burma, where most of the collections were made. Conditions were awful so the botanical specimens scanty, and in any case John’s major interest was zoological. The specimens were put into his brother’s herbarium in the Calcutta Botanic Garden, but a few duplicates have ended up at RBGE. Their collector, however, has been misunderstood as the printed label reads ‘D.J. Anderson’ rather than ‘Dr J. Anderson’.